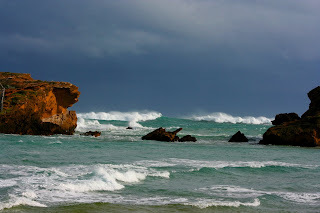 .......53 Buddhas and Me .................My Life Adventures.....: "Warrnambool"
Here I am at the end of my first day of my road trip and I am pretty tired I must say. Warrnambool is a really lovely country town - city actually - I think I could live here. Right from the word go the weather today has been pretty rugged. I really got hammered by the wind while I was driving between Melbourne - Geelong - Colac and Warrnambool, the car was doing a bit of "Road Rock n Roll". 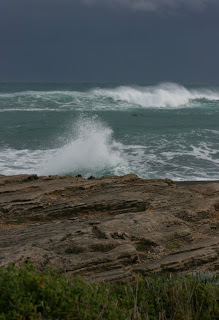 But because Warrnambool is on the Victorian Southern Coastline the waves were absolutely amazing. I could have stayed and just looked at it's ferocity for ages but reality and work were calling. Absolutely breathtakingly beautiful Davine! I love your photos! I hope that the winds die down for your next leg of your journey.